Join TexasRedWorms.com at 10:30am in Boerne, TX to learn more about worms. A few weeks ago I had noticed a few brown patches from my neighbors yards creeping close to mine. Within a few days affected areas were well into my grass. Upon further inspection of the pattern and damage it appeared to be the dreaded chinch bug. The little critters love dry conditions and love to eat away at the healthy roots of grass. I quickly brewed up some worm tea and made a liberal application to my yard. Within a couple of days, my neighbor and I noticed a difference and are happy to see the grass is on it’s way to recovering. Worm tea is an all natural inexpensive way to beat back garden and lawn pests, and has saved me loads of money and headaches. The beneficial micro organisms in your actively aerated tea will add life back to the soil and are predacious to many pests attacking lawns and vegetables. Last Spring was the first time my parents used worm castings exclusively to fertilize their garden. My mom and dad claimed their best tomato crop they can remember. We used a handful of castings with each tomato seedling, and the results were terrific. 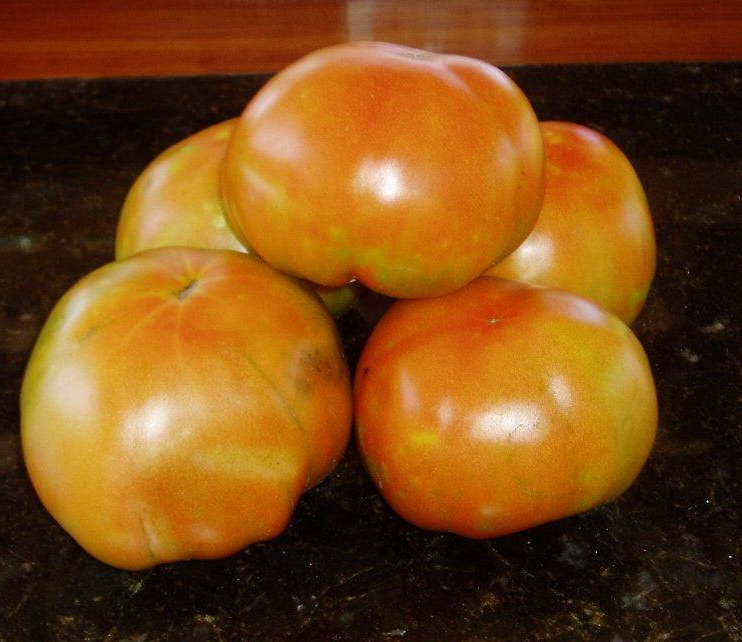 Even in one of the driest and hottest years on record, the taste, yield, and size of the tomatoes were outstanding. 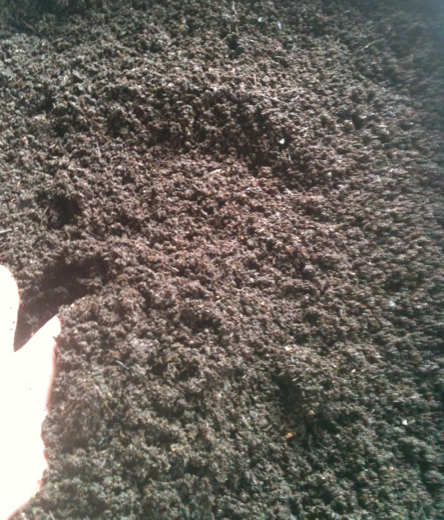 Worm castings or earthworm manure is the best all natural fertilizer you can get. Beyond Potassium and Nitrogen, worm castings are alive with beneficial microbes. Beneficial bacteria, nematodes, and other tiny beneficials that will add life to plants and soil. You can maximize your castings harvest by brewing compost tea. You will need an aquarium pump, water, castings, and some unsulfured molasses to amplify the effects. 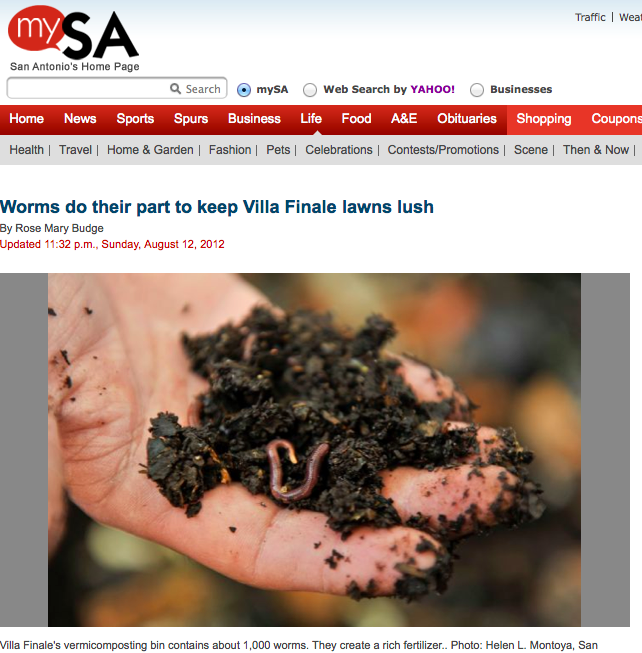 Worm castings are the only manure that can be directly absorbed by plants roots. 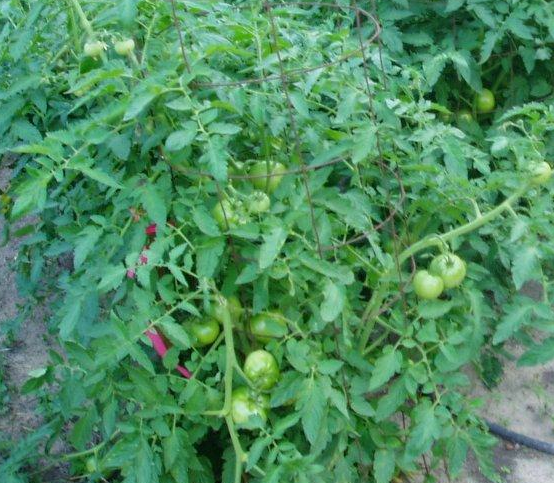 They are perfectly pH balanced and won’t burn up plants like other high in Nitrogen manures. 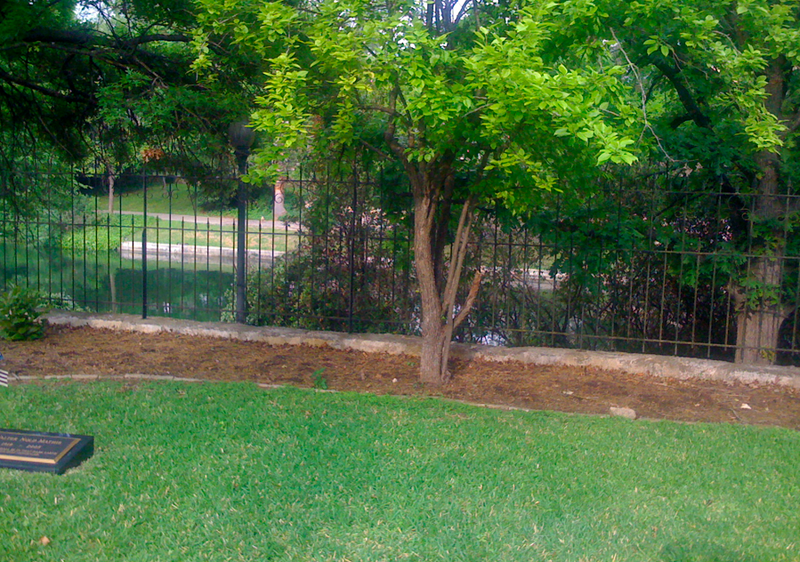 Orlando Cortinas, Landscape Maintenance Technician for Villa Finale in the historic King William district in San Antonio, TX is doing some tremendous work on the museum grounds. 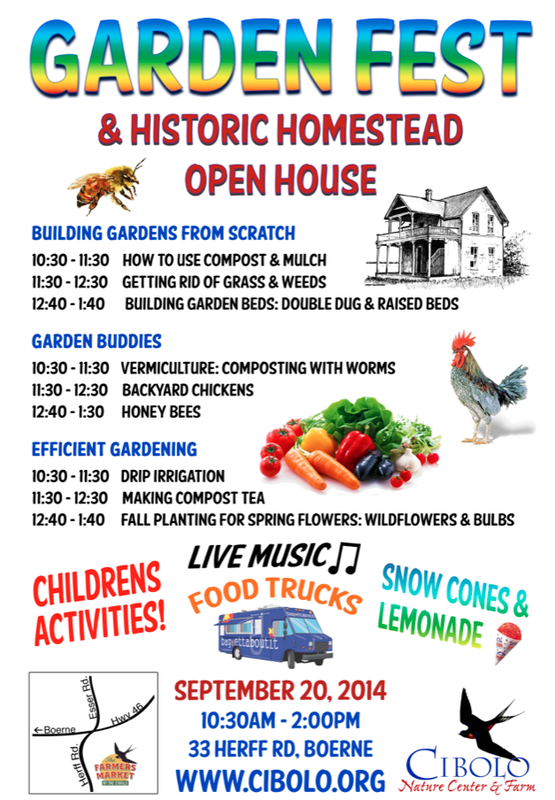 He is bringing this historic property back to life, and working on some exciting organic methods to gardening and landscaping. 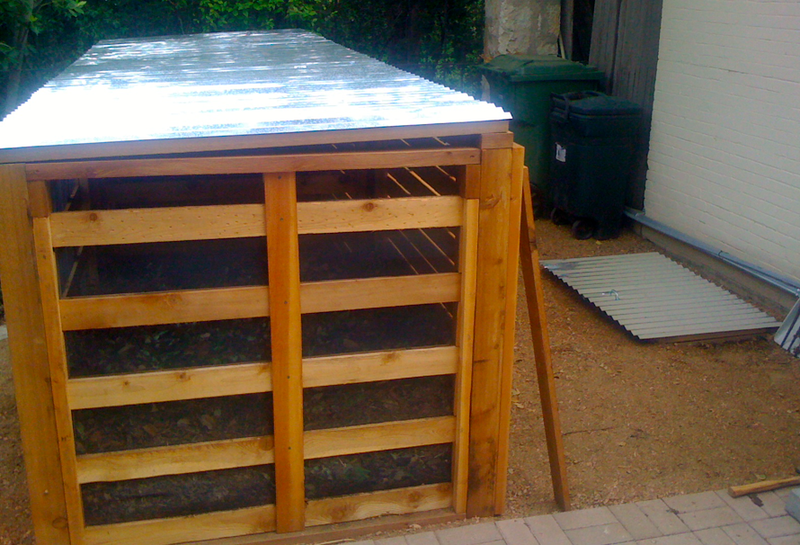 Orlando has built a beautiful worm composting pit, and another composting bin for leaves, yard clippings, and food waste. On my tour of the grounds, Orlando showed me his plans for a greenhouse, and compost tea brewer. Thanks Orlando, and the National Trust For Historic Preservation for your purchase with TexasRedWorms.com and the tour of your impressive property. The first National Trust Historic site in Texas, this former home of preservationist and civic leader Walter Mathis was purchased in 1967. This home originally built in 1876 is now a museum, and a nearly 2 acre showcase along the San Antonio River on former Alamo farm lands. 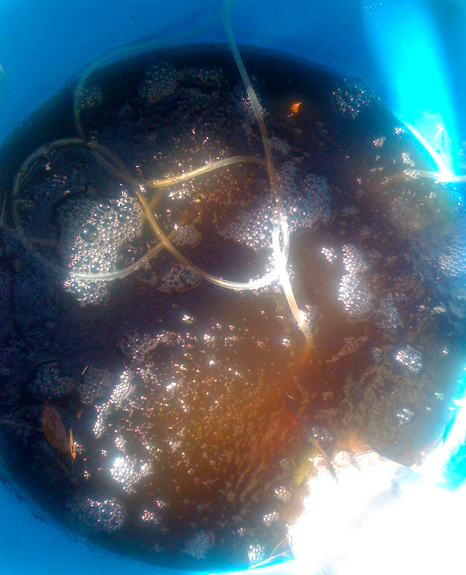 This afternoon I began brewing up about 70 gallons of compost tea with worm castings I recently harvested. In about 12 hours my brew will be ready to apply to my plants and yard. If you are in the San Antonio area, and can pick up, I’ll be giving a gallon of actively aerated vermicompost tea away with a TexasRedWorm.com purchase. 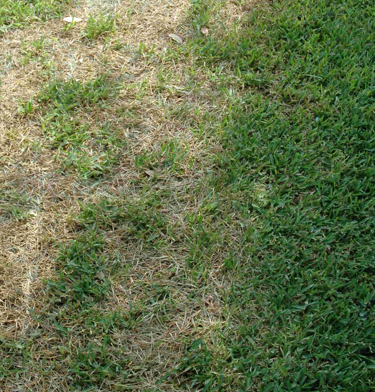 An application of compost tea will add life to your soil with beneficial micro organisms that will fight disease and pests, as well as, boost your plants growth. Active aeration prevents harmful anaerobic bacteria and other non-beneficial microbial activity. Applying compost tea within a few hours is best, after a few hours the brew begins to go anearobic. Here’s a link for a recipe. Be aware of store bought compost tea products claims that are sitting on the shelf. These products will not be aerobic and will not contain many of the benefits (beneficial microbes that require Oxygen) that are associated with actively aerated compost tea.